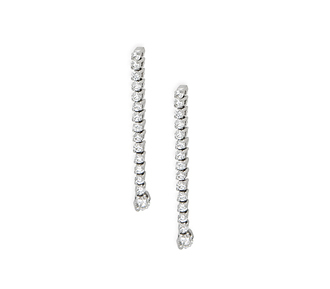 Single strands of 14 small round diamonds in 2-prong settings with a larger diamond at the end, make these diamond earrings extremely versatile. 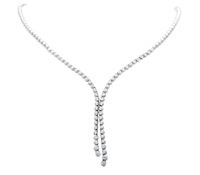 Whether your style is sleek and modern or more ornate this jewelry rental would be a great compliment. 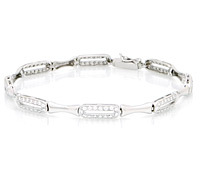 Diamonds: .85 TW | Gold: 18K White | Post | Length: 1 1/4 in.